Norsan Media's 5th Annual Hola Charlotte Hispanic Heritage Festival will take place in Uptown on Sunday October 16th from 12-7 PM on N.Tryon St. from Trade St. to 7th St. This event is a true celebration of all Latin culture and heritage, and we invite the whole family to come and experience it first hand! 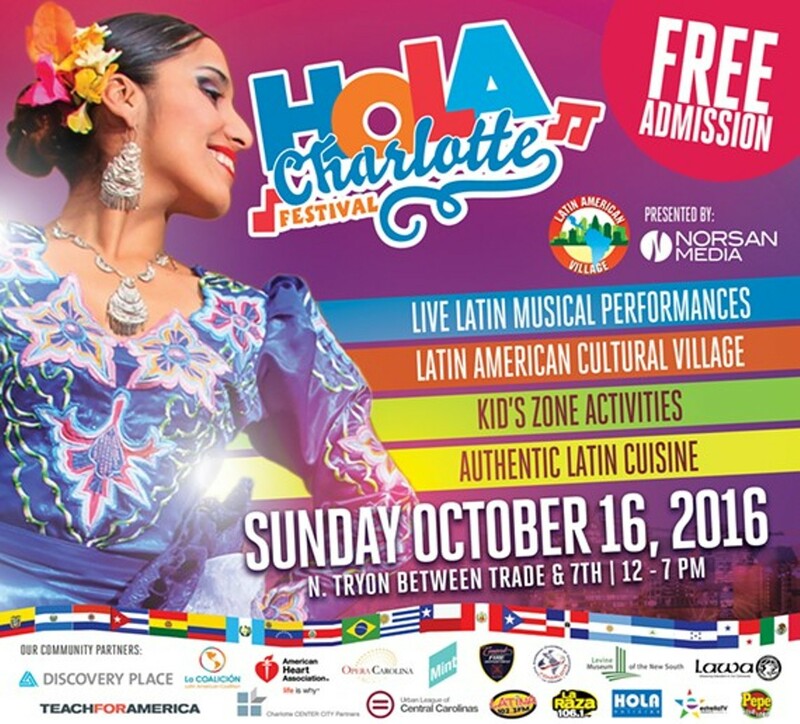 Festival highlights include live Latin music and cultural performances all day, the Latin American Cultural Village with 15 Latin Countries represented, educational activities for children, and of course authentic Latin cuisine. The event is free and open to all!